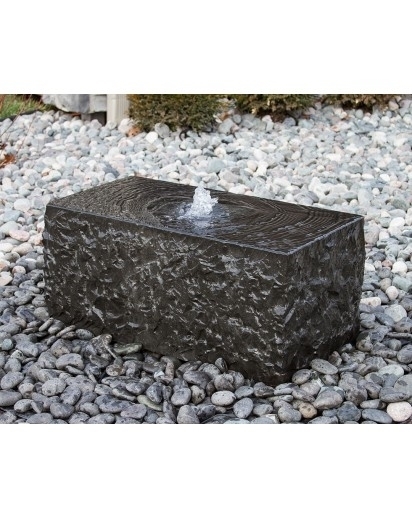 Part of our Zenshu fountain series, the Skizukesa fountain provides a simple way to add interest to your landscape with its coarse sides and flat surface surrounding a small fountain spectacle. 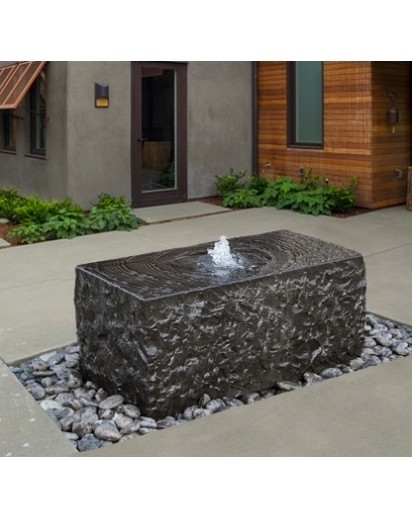 Situated in the corner of a rock or stone bed, the smooth pooling of water is a calm display of serenity that preludes the cascading of the element to the space below. 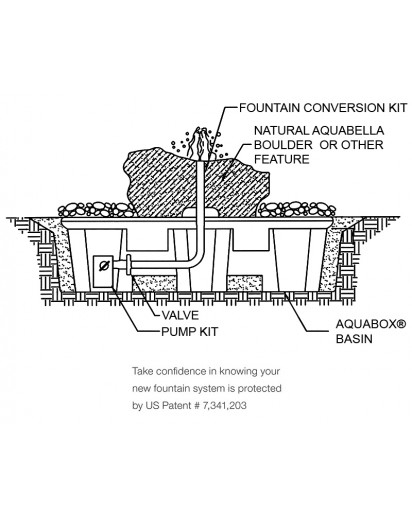 • Includes Achelous molded fountain basin, mag-drive pump, plumbing, tubing, and black polished pebbles.